Flavored Lip Gloss packed in nostalgic vintage slider tins, our delicious moisturizing flavored lip glosses offer a glossy matte finish and unlike a flavored lip balm they will give you the color and coverage of a lipstick. Our creamy silky texture is enriched with nourishing Shea Butter. Our flavors and scents assure that you won't be forgotten! Best lip gloss for chapped lips Our lip balm formula is 97% all natural; made with only the finest, top-of-the line ingredients (several of which are also certified organic). Our flavors and scents assure that you won't be forgotten! 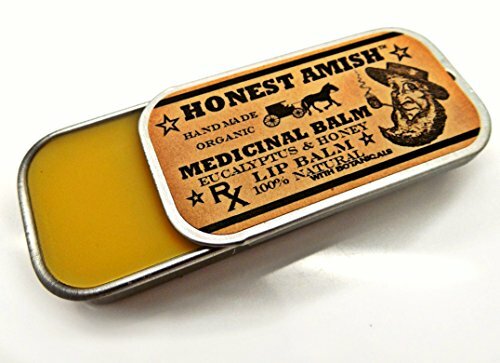 Best lip balm for chapped lips! These flavored lip glosses are Petrolatum free, paraben free, phthalate free, gluten free & cruelty free. Products tested on boys, not animals! Seven flavors to choose from: Root Beer Flavored Lip Color, Bubble Gum Flavored Lip Color, Cream Soda Flavored Lip Color, Peppermint Flavored Lip Color, Blackberry Jam Flavored Lip Color & Peach Flavored Lip Color. The smell of eucalyptus essential oil warms your nose and a touch of honey tastes sweet on the lips. 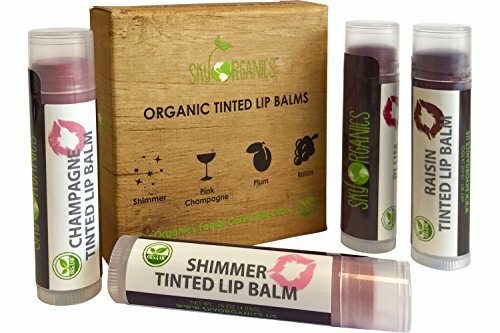 This blend of lush organic fruit and nut oils and butters is infused with healing herbs and botanicals, to help cure you chapped and dried lips. We make our lip balms from scratch adding all natural and organic ingredients, locally harvested beeswax, and we never use synthetic preservatives or fragrances in our products. Pure, simple, and sweet. Packaged in 100 percent recyclable tins that are also fully biodegradable and will not leach like a plastic container. We understand the convenience of a plastic tube for a lip balm, but when these tubes are filled with heated liquefied lip balm the risk of leaching BPA's, pthalates, and other unhealthy chemicals to the products they hold is almost certain. How organic can your lip balm be if the container that holds it is plastic? "If you re not 100% satisfied with your purchase, please return it for a full refund." 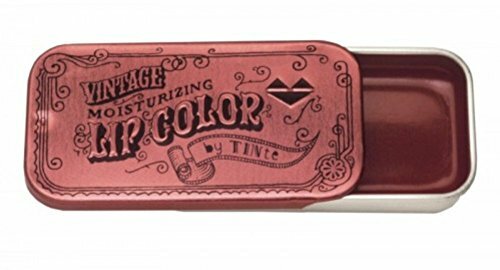 Flavored Lip Gloss packed in nostalgic vintage slider tins, our delicious moisturizing flavored lip glosses offer a glossy matte finish and unlike a flavored lip balm they will give you the color and coverage of a lipstick. Our creamy silky texture is enriched with nourishing Shea Butter. Our flavors and scents assure that you won't be forgotten! Best lip gloss for chapped lips Our lip balm formula is 97% all natural; made with only the finest, top-of-the line ingredients (several of which are also certified organic). . Our flavors and scents assure that you won't be forgotten! Best lip balm for chapped lips! These flavored lip glosses are Petrolatum free, paraben free, phthalate free, gluten free & cruelty free . Products tested on boys, not animals! Seven flavors to choose from: Root Beer Flavored Lip Color, Bubble Gum Flavored Lip Color, Cream Soda Flavored Lip Color, Peppermint Flavored Lip Color, Blackberry Jam Flavored Lip Color & Peach Flavored Lip Color. Looking for more Tinte Cosmetics similar ideas? Try to explore these searches: Diamond Drill Bits Tile, Emf Meter, and Stampede Driver. Look at latest related video about Tinte Cosmetics. Shopwizion.com is the smartest way for online shopping: compare prices of leading online shops for best deals around the web. Don't miss TOP Tinte Cosmetics deals, updated daily.